With playing hailed as "gorgeous, finely detailed...positively ravishing, a marvel of emotional maturity and assurance" (San Francisco Classical Voice) and praised for its “true chamber music-making, and a natural, honest sense of communication" (The Strad magazine), violinist Kenneth Renshaw has appeared as soloist with orchestras throughout the world, including the National Orchestra of Belgium, the Orchestre de Chambre de Wallonie, the Lithuanian National Orchestra, the China Philharmonic and China NCPA Orchestra, the Jenaer Philharmonie, the Staatskapelle Weimar, the California Symphony, the Oakland Symphony, and the Orquestra de Festival Ushuaia. He has given recitals to critical acclaim at the Auditorium du Louvre (Paris), Flagey Studios (Brussels), the Menuhin Festival Gstaad (Switzerland), the Mecklenburg-Vorpommern Festspiele (Germany), and has repeatedly been featured on the national radio and television stations of many countries. Kenneth won First Prize and the special prize for best semifinal recital at the 2012 Yehudi Menuhin International Violin Competition (Beijing). 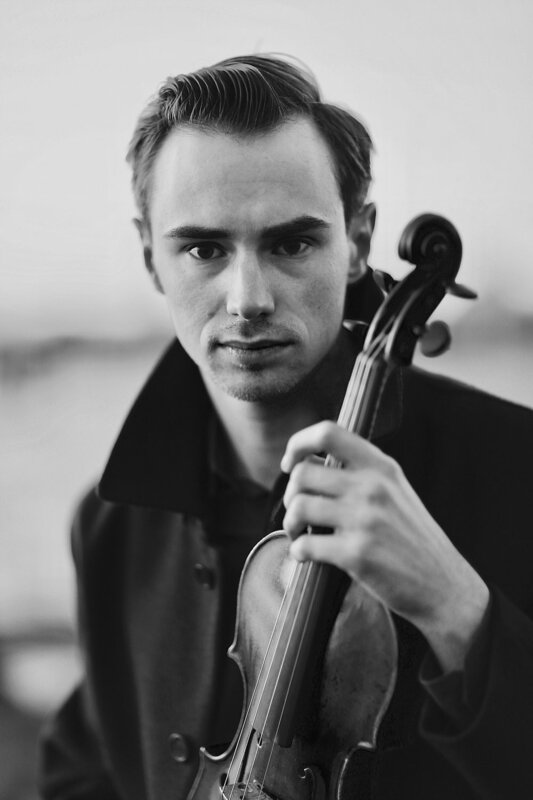 He also won First Prize and several special prizes at the 2010 Louis Spohr International Violin Competition (Germany), First Prize at the 2009 Los Angeles Philharmonic competition, and was a Laureate of the 2015 Queen Elisabeth International Violin Competition in Belgium. In 2016 he was invited to join the roster of Manhattan International Concert Artists as a winner of their inaugural competition. A passionate chamber musician, he has performed with many esteemed artists internationally, including Leon Fleisher, Sir James Galway, Shmuel Ashkenasi, Pamela Frank, Cho-Liang Lin, Peter Wiley, Matt Heimovitz, Ralph Kirschbaum, Kim Kashkashian, and Atar Arad. Kenneth was an Evnin Rising Star at the Caramoor Festival (Katonah, NY) and has participated in the Ravinia Festival's Steans Institute, the Perlman Music Program’s Residencies in Florida and Vermont, Music@Menlo, and the Kronberg Academy Violin Masterclasses. Upcoming engagements for this season include recitals in San Francisco and Chicago, a debut in Chile with the Orquestra Sinfonica de Concepcion, and as a featured artist at the Marlboro Music Festival in Vermont. Kenneth is currently pursuing a Masters degree at the Juilliard School as a Kovner Fellowship recipient, studying with Itzhak Perlman and Li Lin, and serving as a Teaching Assistant to Professor Lin. His principal teachers have been Itzhak Perlman, Li Lin, Donald Weilerstein, Ian Swensen, and Lynn Oakley.